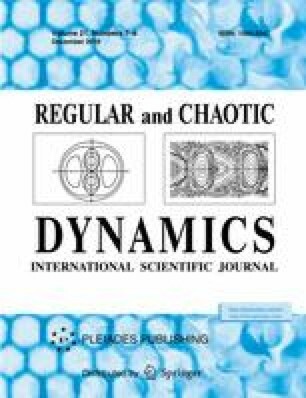 This paper presents a numerical study of the chaotic dynamics of a dynamically asymmetric unbalanced ball (Chaplygin top) rolling on a plane. It is well known that the dynamics of such a system reduces to the investigation of a three-dimensional map, which in the general case has no smooth invariant measure. It is shown that homoclinic strange attractors of discrete spiral type (discrete Shilnikov type attractors) arise in this model for certain parameters. From the viewpoint of physical motions, the trace of the contact point of a Chaplygin top on a plane is studied for the case where the phase trajectory sweeps out a discrete spiral attractor. Using the analysis of the trajectory of this trace, a conclusion is drawn about the influence of “strangeness” of the attractor on the motion pattern of the top.